In last week’s TARL history post, we talked about the early days of UT’s archeological collections. By the 1950s, UT had gathered massive and impressive collections of archeological artifacts and other materials, but these were scattered across various locations including the Anthropology Museum in Pearce Hall, the Texas Memorial Museum, and UT’s Little Campus. As the River Basin Surveys and Texas Archeological Salvage Project added more and more artifacts to the collections, it became clear that the collections needed a new home. In 1960, the choice was made to begin a new organization, which would become TARL, and the following year, the TMM, TASP, and Department of Anthropology began TARL (then called TARC) as a cooperative venture. Many of the University’s various archeological collections and records were moved to TARL’s new facility at the Balcones Research Center (now the J. J. Pickle Research Campus) in 1962-4. Since those early days, TARL’s mission has remained fairly consistent: to house and protect archeological artifacts and records, to train and educate new researchers, to provide research opportunities, and to disseminate information about archeology. Second from left in checked shirt, TARL’s first Director, Dee Ann Suhm (later Dee Ann Story), as a student at the UT Kincaid Rockshelter field school in 1953. Homegrown archeologist Dee Ann Story was appointed as the first Executive Director of the Texas Archeological Research Laboratory in 1963. 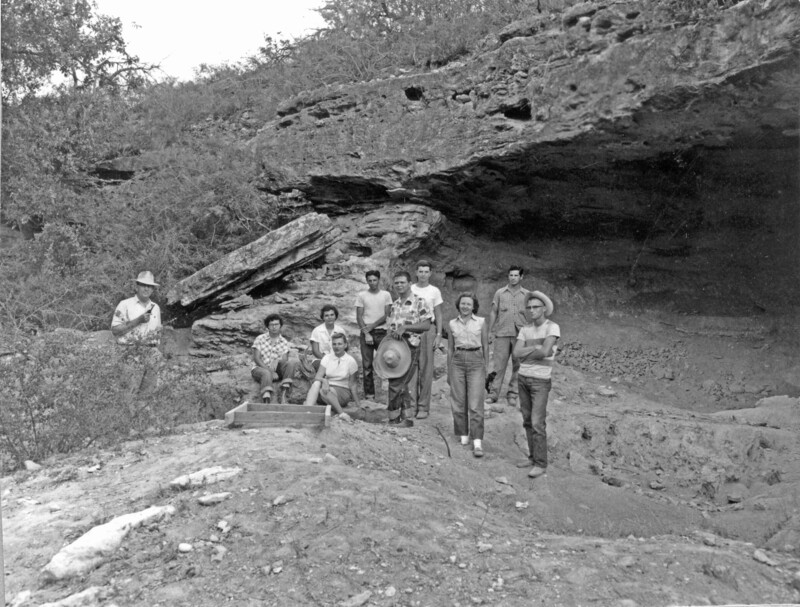 Story was a UT student and got her early training at some of the most important archeological sites in Texas, including Kincaid Rockshelter. She was one of the first women to earn a Ph.D. in Anthropology from the University of California, Los Angeles, and ran the archeological laboaratory for the University of Utah while also running excavations in Glen Canyon. Her mentors at UT convinced her to return to Austin, where she was instrumental to the establishment of TARL. Over the course of her career, Dr. Story contributed some of the most influential publications in Texas archeology, most notably the Handbook of Texas Archeology. She led field schools at the George C. Davis site, the Chupik site, the Loeve-Fox site, and many others throughout the 1970s, working with and training a huge number of Texas archeologists. Dr. Story’s work as TARL director set the tone for our existence and her legacy continues to this day. 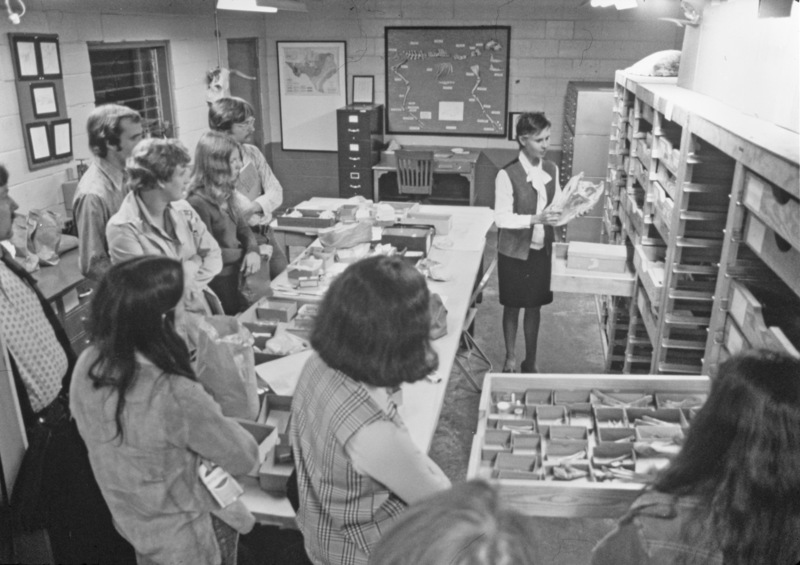 Students peruse the TARL collections, 1960s. Under the Directorship of Dr. Story in the 1960s, 70s, and 80s, TARL was a thriving center of learning and independent research. Dr. Story’s many students filled the halls and brought their ideas and knowledge together, documenting the prehistory of Texas. Many of her students went on to become professors or professional archeologists, making their own important contributions to Texas archeology. Dr. Story retired in 1987. 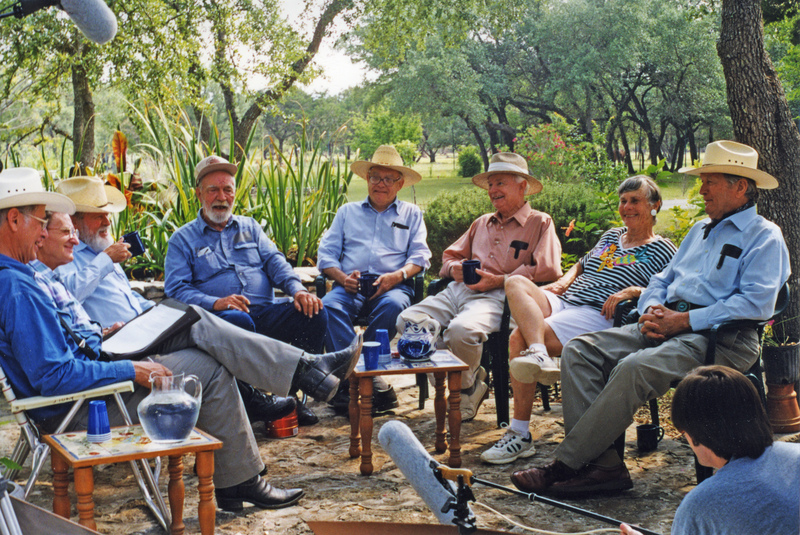 Pioneers in Texas archeology (left to right): Michael Collins, Jerry Epstein, Curtis Tunnell, Jack Hughes, Ernie Lundelius, Ed Jelks, Dee Ann Story, and Glen Evans. In our next TARL history installment, we’ll look at the late 80’s and 90’s, when a major boom in archeology spurred huge amounts of new research and publication. I do not see Curtis Tunnel in the photo. Looks like Alton Prewitt instead. Curtis Tunnell, Elton Prewitt. I hate spell check. No, don’t think that’s Elton. I believe it is Curtis. Dan: you are right. Curtis with a post retirement beard!